In many cultures, gardening is seen as a sacred duty, but other cultures have turned plant cultivation into a kind of meditation. 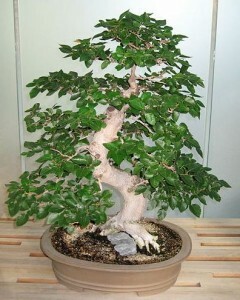 The most well-known art of this sort is bonsai. Bonsai is the Japanese art of pruning and caring for small, potted trees. The art actually began in China, where it was called penjing. It was used as a way to enhance focus and bring about relaxation. Buddhist monks have practiced this living art since 800 AD. Once you choose your species, do a little research on it. If the species is from an area that has hard winters, it needs cooler temperatures for part of the year. If it’s a tropical variety, prolonged higher temperatures are in order. Most species need a fair amount of sunlight. To make sure the plant is getting enough, turn it for the inside facing side to get enough light about twice a month. It’s a good idea to let it have some time outside once in a while, too. The trick to proper pruning is to only cut when new growth matures. The idea is to keep new growth balanced with old growth. Since the small pot holds little soil, it’s best to re-pot the tree about twice a year. When you do so, trim about one third of the roots and add a slow release fertilizer to encourage maximum nutrient absorption without much growth. It’s vital not to over water your tree. If the top of the soil is dry, but the underlying layer is slightly damp, it’s at the right balance. If the air is too dry, mist the leaves occasionally. A bonsai adds interest to your unique garden, whether it’s indoor or outdoor.